Singapore Press Holdings (SPH), Asia's leading media company, won five accolades from the Communicator Awards 2015 which was held last week. 1. Online job portal STJobs bagged the Silver Award of Distinction (Website) for "Employment" and "Structure and Navigation". 2. Local business e-listing site STDirectory won Silver Award of Distinction (Mobile Apps) for "Maps/Navigation". 3. Online citizen site STOMP won Silver Award of Distinction (Website) for "Activism" and "Community". Mr Choo Zheng De, Senior Digital Product Specialist of STDirectory commented: "We are extremely honoured to receive this award for the second year running. This accolade reaffirms STDirectory as the leading directory service provider in Singapore." Mr Azhar Bin Kasman, Editor of STOMP said: "These awards mean a lot to us because they are a testament to STOMP's efforts in empowering everyday people to share news and views quickly and easily. "We are thrilled to receive the news as it is a recognition of our efforts and vision to provide the best job search experiences to all STJobs users," remarked Ms Ang Yinghui, Senior Product Manager of STJobs. STJobs and STOMP users can expect more exciting features coming their way as there are plans to innovate the products for enhanced user experience and sustained engagement - something the organisation subscribes to - by always bringing to the table dynamic products that endure to constantly meet ever-changing market sentiments and extend reachability in new forms, mediums and channels. For instance, to adapt to emerging needs of jobseekers to search for non-executive, part-time, contract, freelance and temporary positions quickly, STJobs recently launched FastJobs, a free 'lite' app to match such needs. Azhar added: "Viewers can look forward to an assignment alert function, from which they will receive a ping on the STOMP app whenever it requires them to help submit reports, photos and videos of an incident onground." Last year, SPH's content aggregator AsiaOne clinched an Award of Excellence - the highest honour of the Communicator Awards - for the AsiaOne iPad app in the "Mobile Apps - News" category. The customisable iPad app offers readers a wide range of news and lifestyle content from SPH publications such as The Straits Times and The Business Times, as well as numerous magazines and top websites in Asia. The Communicator Awards is the leading international awards programme recognising big ideas in marketing and communications. 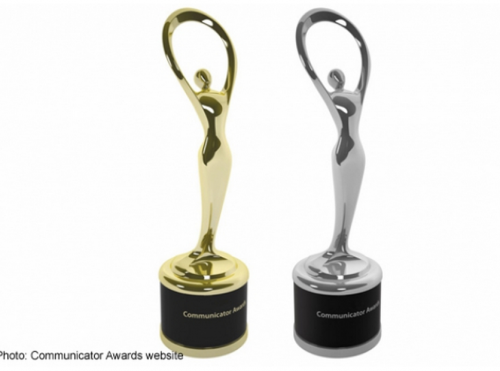 Founded two decades ago, The Communicator Awards receives over 6,000 entries from companies and agencies of all sizes, making it one of the largest awards of its kind in the world.